Singapore, 29 January 2018 – CapitaLand’s wholly owned serviced residence business unit, The Ascott Limited (Ascott), is ramping up its expansion with a target to double its portfolio to 160,000 units globally by 2023. 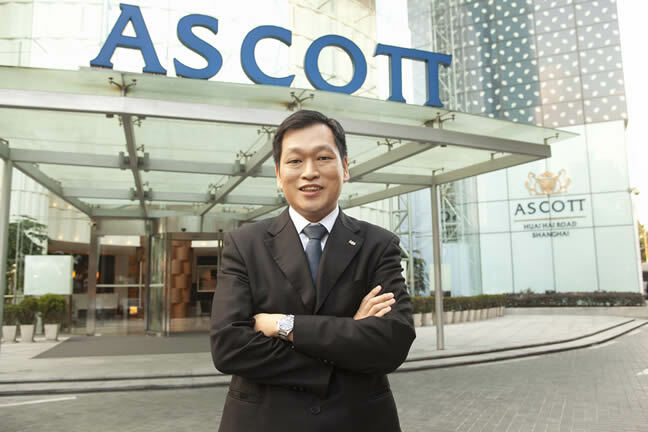 Hot on the heels of its recent signing of nine management contracts in China, Ascott has clinched contracts to manage another four properties with 1,200 units in new cities such as Malacca in Malaysia and Davao in the Philippines while deepening its presence in Guangzhou in China and Cebu in the Philippines. With its latest deals, Ascott has entered new attractive investment destinations Malacca and Davao. Its Somerset property in Malacca, Ascott’s largest property to date, will benefit from an upcoming free economic zone and sea port . Meanwhile, its foray into Davao will anchor Ascott in the Philippines’ third fastest-growing economy which also serves as the economic and tourism hub of Southern Philippines. Ascott’s fifth property under its lyf brand will be in Cebu, the top investment destination in the Philippines outside Metro Manila . With Ascott also increasing its presence in Guangzhou, it has reinforced its leading position as one of the largest serviced residence operators in China. With these new additions, Ascott currently has more than 160 properties with about 30,000 units under development worldwide. About 35 of these properties with more than 6,500 units are scheduled to open this year, half of which are in China, and a quarter in Southeast Asia. The rest are in countries such as Australia, France, India, Saudi Arabia, and the United Kingdom, including Ascott’s first property in Africa. 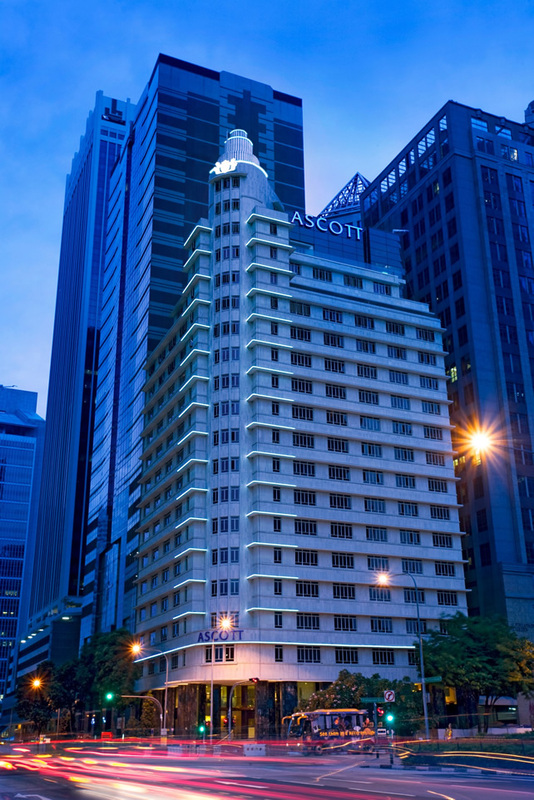 The new management contracts have increased Ascott’s portfolio in Southeast Asia to about 23,000 units in 111 properties across 34 cities. Its newly secured properties in Guangzhou has also strengthened Ascott’s foothold in China with over 20,000 units in about 110 properties across 31 cities. Citadines Panyu Guangzhou (广州馨乐庭番禺悦界服务公寓) is conveniently located between the Wanbo Business District and Chimelong Resort, the most vibrant regions of Panyu District. Chimelong Resort is a large-scale integrated theme resort offering popular tourist attractions such as an amusement park, safari park, circus, and birds park. The serviced residence is part of the integrated development Golden Valley which also has commercial components and an international school. The property is near the largest IKEA in Guangzhou and within walking distance to a lifestyle retail street. It is close to Guangzhou Metro Line 22, which is expected to open in 2020, and is well-connected to the city centre via public transportation. Guangzhou’s new Central Business District (CBD) at Zhujiang New Town, Tianhe CBD and Guangzhou University City are a 20-minute drive away, while the Guangzhou South Railway Station is a 10-minute drive away. Citadines Panyu Guangzhou has 192 studio and one-bedroom apartments, as well as facilities such as a breakfast lounge and gymnasium. The 250-unit Citadines Riverside Davao will be part of an integrated development that also comprises retail, office and event spaces. A 15-minute drive from downtown Davao City, the serviced residence is close to universities and malls, as well as a 45-drive to Davao International Airport. A key gateway city in Mindanao serving as its main commercial, industrial and education hub, Davao City is also one of the largest and most developed metropolises in the Philippines. An attractive investment and tourist destination, many large local and foreign companies have been expanding their business in the city. Besides having hotel rooms catered for short-term stay, Citadines Riverside Davao will also offer studio, one-bedroom and two-bedroom units. Facilities include a breakfast lounge, swimming pool, gymnasium, residents’ lounge and functions rooms. The first lyf property in the Philippines, lyf Cebu City, is located within Base Line Center, a mixed-used project which also has office spaces, a supermarket, dining and retail outlets. lyf Cebu City is surrounded by malls, office buildings, universities, and medical facilities. A few kilometres away from the Cebu Business Park and Cebu IT Park, the 180-unit property will be part of an integrated development that also includes a retail component. Cebu is the next largest business district in the Philippines outside of Metro Manila, and also a well-established shipbuilding and business process outsourcing destination. The serviced residence with coliving concepts will feature facilities such as a bar, social kitchen, laundromat and coworking spaces. lyf Cebu City will offer a range of apartment layouts from ‘Big Bed’ rooms (studios) to ‘Two of a Kind’ units (two private rooms with a shared kitchen). Project groups can opt for the ‘All Together’ unit (business suites) which have smart display screens for video conferencing and discussions while a large table doubles up as a collaborative working zone and dining area. Located within UNESCO World Heritage City of Melaka, Somerset Melaka Island enjoys proximity to an upcoming free trade zone and sea port. It is also about a 10-minute drive to popular historical and cultural attractions. Melaka is set to enjoy greater connectivity to Singapore and some parts of Malaysia when the Kuala Lumpur-Singapore high-speed express rail is completed in 2026. Somerset Melaka Island will be part of a mixed-use development that also comprises a shopping mall. Its 578 apartments will range from studio to one-bedroom, two-bedroom and three-bedroom units. The property will provide facilities including a breakfast atrium, gymnasium, residents’ lounge, launderette, bar, yoga and tea corner, jogging track, landscaped garden, and function rooms.